This is an original 19th Cent. 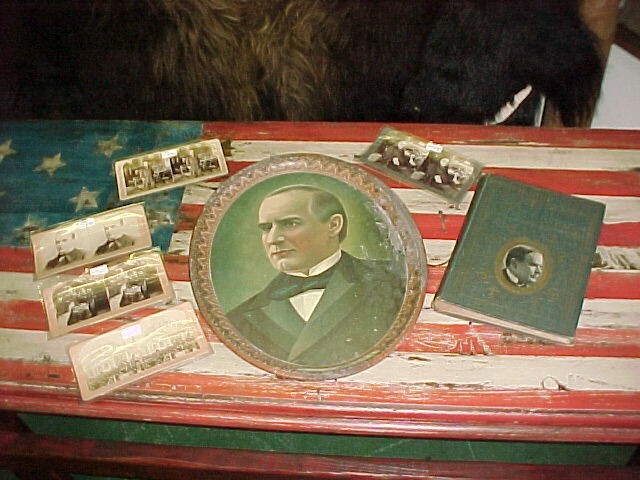 Tray picturing President McKinley & Steriocards also still available. Book pictured SOLD Please email cowboycabin@centurytel.net with questions or call 406 270-2842.